The common cold usually involves symptoms including runny nose, cough, sore throat, and sneezing. Each year, the common cold affects millions of Americans, causing them to miss school and work. The Centers for Disease Control (CDC) estimates adults have about 2-3 colds per year, and children experience 8-12 colds annually. 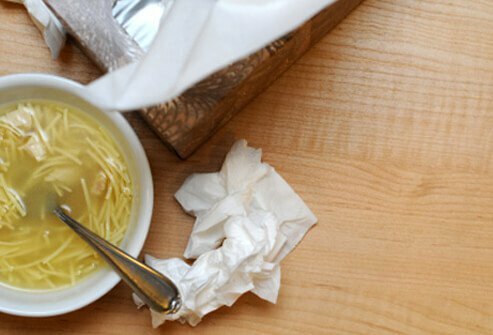 What causes the common cold, and how is it spread? The common cold refers to a group of symptoms caused by viruses. Rhinoviruses cause the most cases of the common cold, and more than 200 different viruses have been identified that cause cold symptoms. Colds are most often transmitted from one person to another via the hands – for example, by shaking hands with a person who has a cold. 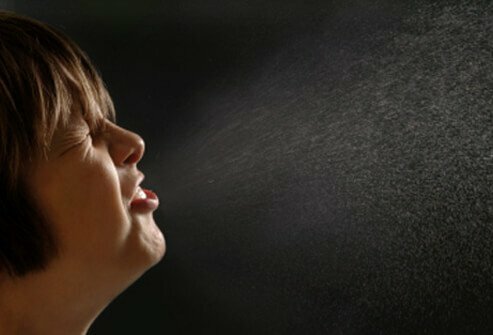 Droplets containing the virus may be coughed or sneezed by an infected person into the air and inhaled by another. The virus may contaminate a surface such as a doorknob or countertop. You can reduce your risk of getting a cold by following a few simple steps. Make sure to wash hands after sneezing or coughing, and before handling food. 2. Avoid touching your face. Viruses can enter your body through the areas around your nose, mouth, and eyes. It is important to avoid touching your face if you are exposed to a person with a cold, especially if you have not washed your hands. Smoking tobacco products irritates and damages the throat and lungs, and can worsen cold symptoms – which already include a sore throat and cough. Even secondhand smoke can cause irritation. A recent study also found the anti-viral response in smokers may become suppressed, making them less able to fight off infection. 4. Use disposable items if a family member is infected. Use your own disposable plates, cups, and utensils and discard them after use if you have a cold. 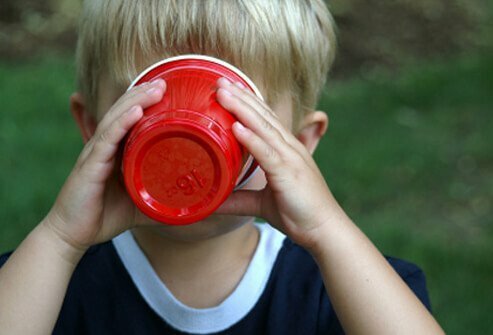 This is especially helpful if there are children in the household, who may attempt to take food off others' plates, or drink from others' cups. 5. Keep household surfaces clean. Clean all household surfaces frequently to keep them germ-free. Viruses can live on surfaces for several hours after being touched by an infected person. Pay attention to the areas you touch most often and use soap and water, bleach, or disinfectant cleaners to wipe off doorknobs, keyboards, phones, remote controls, desks, toys, countertops, faucet handles, and drawer pulls. Children are four times more likely to get a cold than adults, and often the common cold virus is spread by contact with toys. 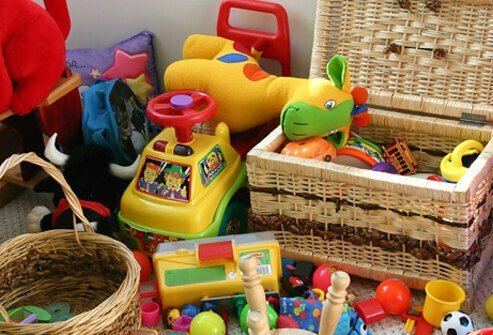 When you clean all household surfaces, remember to clean your child's toys too. 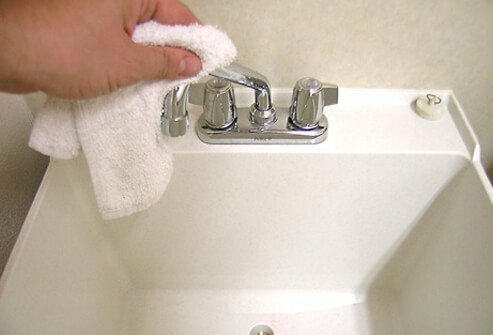 Cloth towels can harbor viruses for hours after being touched, just as many surfaces do. 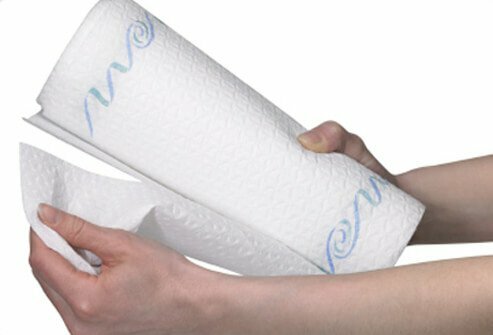 To avoid contamination, use paper towels to clean up in the kitchen and to dry your hands after washing. You'll probably use a lot of tissues if you have a cold, but be sure you throw them away after each use. 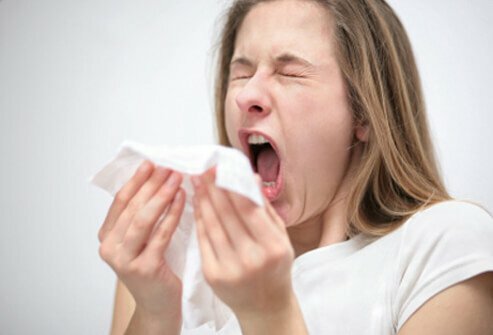 Even a small sneeze into one tissue will harbor the virus for hours and if placed on a table or countertop, it will contaminate the surface. It's important to be healthy at all times, so that if you do get a cold your body's immune system is strong and can fight the infection. 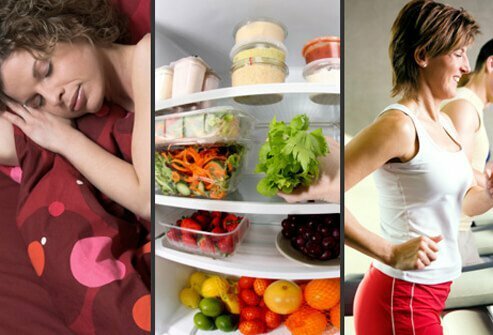 Eat a balanced diet with plenty of fruits and vegetables, exercise regularly, and get enough sleep. When we experience stress we release a hormone called cortisol, which has anti-inflammatory properties. Chronic stress causes an over-production of this hormone, which in turn causes the immune system to become resistant to it. Studies have shown that when a chronically stressed person is exposed to the common cold virus, which causes inflammation, their bodies are less able to fight it because their natural anti-inflammatory response does not work as well as it should. Centers for Disease Control and Prevention (CDC): "Common Cold and Runny Nose." Centers for Disease Control and Prevention (CDC): "Common Colds: Protect Yourself and Others." 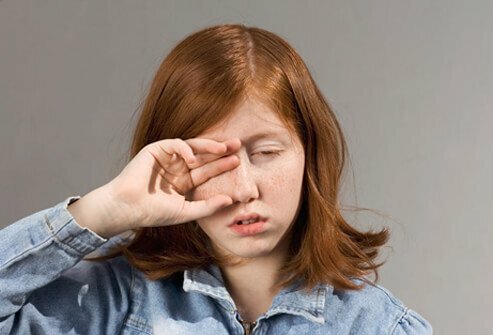 Centers for Disease Control and Prevention (CDC): "Seasonal Influenza (Flu) - How To Clean and Disinfect Schools To Help Slow the Spread of Flu." UpToDate: "Patient information: The Common Cold in Adults (Beyond the Basics)." UpToDate: "Patient information: The Common Cold in Adults: Diagnosis and Clinical Features." Yale School of Medicine: "Study Shows Why Cigarette Smoke Makes Flu, Other Viral Infections Worse."